Canada is becoming a prominent market for wind energy and this has attracted more than 100 wind developers to Toronto for the Canadian Wind Association’s O&M Summit, which was held this week. As the Canadian market expands, it is becoming increasingly important for developers to share innovative ideas with one another and introduce new technologies and tools that can improve the performance of wind farms. This will be a priority if Canadian developers wish to retain their position in the competitive wind market. Canada is home to some 6,066 wind turbines, which ranks the country sixth in terms of total installed capacity. Combined, these turbines produce an estimated 11,000 megawatts of electrical power. Wind power is likely to become more prominent as the cost of wind turbines falls. According to the Canadian Wind Association, the cost of turbines has fallen by 61% over the past six years. The organization believes that the cost of these turbines will continue to fall, making it easier for wind farms to take form throughout Canada. The wind market in Canada is expected to reach $450 million by 2020, according to analysis from the Canadian Wind Association. As the wind market grows, new jobs will be made available and new investment opportunities will emerge. 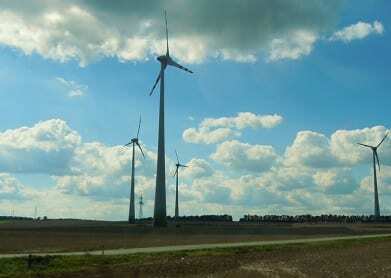 Ontario is expected to continue leading the way in terms of growth in the wind sector. The province currently accounts for nearly 40% of all installed wind energy capacity in the country and is considered the hub of activity when it comes to wind power. Canada is one of the most powerful forces in the wind industry currently. The country has shown strong support for this form of clean power and believes that it can be used to become more environmentally friendly and take advantage of promising economic trends. Wind industry leaders have high hopes for the future, especially as new investments roll in supporting wind projects.